Head injury is the commonest cause of death and disability in people aged 1-40 years in the UK. Each year, 1.4 million people attend emergency departments in England and Wales with a recent head injury. Between 33% and 50% of these are children aged under 15 years (NICE Guidance on Head Injury: Assessment and Early Management: 2017). This lead to a range of disabilities including complete dependency and vegetative state. Even mild injuries may result in significant cognitive and emotional disability with implications for return to work and family harmony. 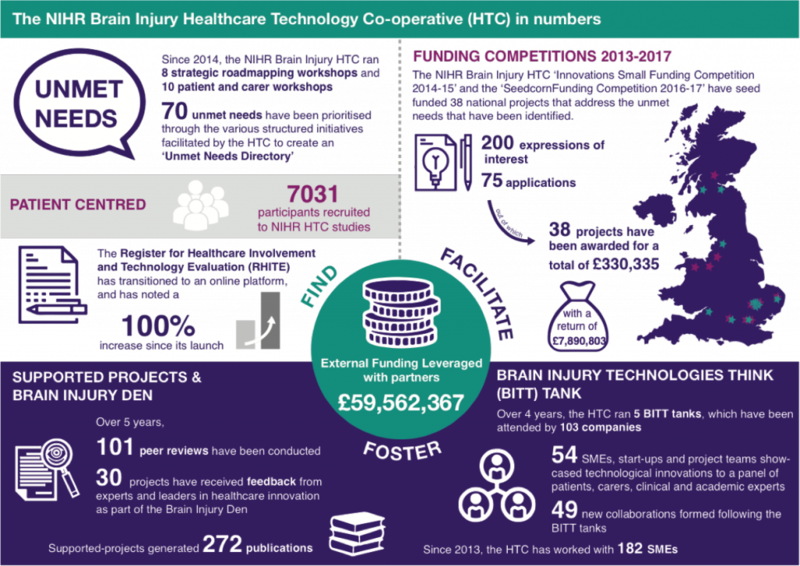 The NIHR Brain Injury MedTech Co-operative (MIC) works with patients, carers, NHS, charities, academia, inventors, SMEs and business angels to support the development of new medical devices and healthcare technologies improving the effectiveness and quality of healthcare services in the brain injury care pathway. 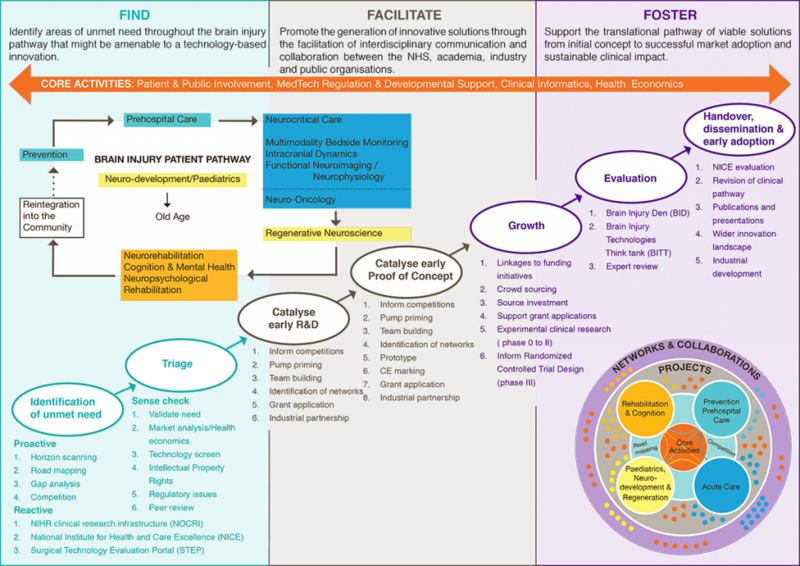 The NIHR Brain Injury MIC seeks to be a centre of expertise in the development of medical technologies to support the prevention of, or improved patient outcomes from, an Acquired or Traumatic Brain Injury.